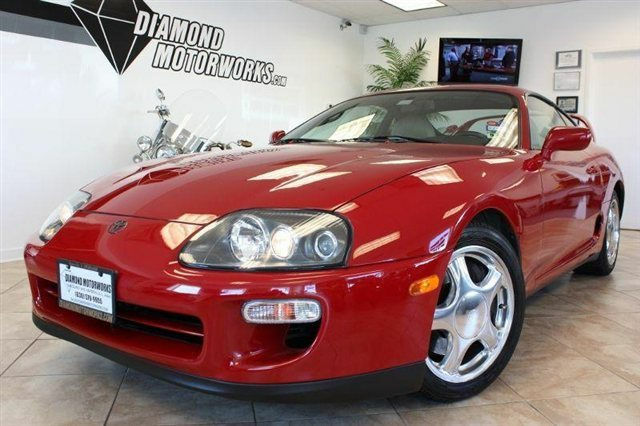 Twin turbo Mk IV Toyota Supra prices took a major jump up after the first Fast & Furious movie hit the big screen with its focus on 10 second cars, wheel standing Chargers and attention deficit...hey, you know what is impossible to find? A totally stock Mk IV Supra TT 6-spd, mostly because the engines and transmissions love additional boost. 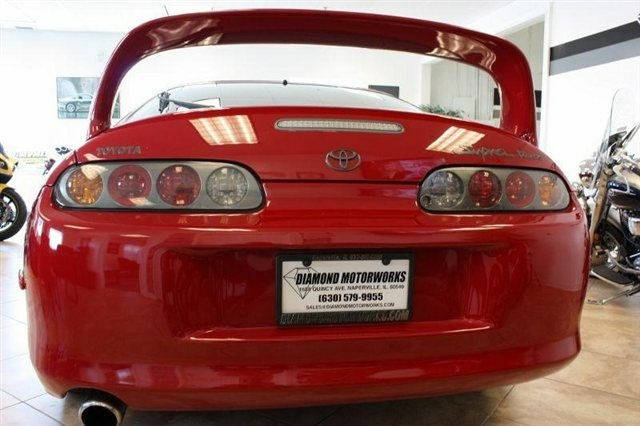 The best we could find is this 1998 Toyota Supra TT 6spd for sale in Naperville, IL for gasp $37,800. Tip from Kaibeezy. The Mk IV Supra pioneered the use of boosted engines with gigantic wings and paved the way for production wingstrocities like the EVO and STi...to name a few. Prices of the Supra took a huge jump up a few years ago and its left its contemporary 3000GT-VR4 & 300ZX TT friends in the sub $10k sand trap trying to figure out how it made the leap.